Overdrive - enjoy eBooks and audiobooks. Be sure to login when using OVERDRIVE as you will not get to see everything available unless you login before searching. K-8 Collection - eBooks for K-8 students and educators. eBook High School Collection - Designed specifically for high school students and educators. eBook Cricket Media Collection - The collection includes more than 400 titles in ebook format and is suitable for Children grades Pre-K through 8th. 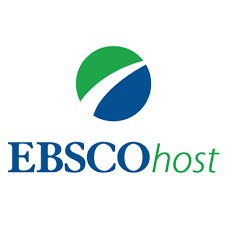 eBook History Collection - Collection features more than 17,000 world history ebooks to meet the content needs of students in their research. Titles encompass a variety of subjects, including medieval history, history of music, history of science, law in history, history of philosophy, art history, history of technology, history of business and economics, history of religion, military history and more. The RBdigital app & webpage delivers your favorite titles right to your computer, smartphone or tablet including digital magazines, audiobooks, eBooks, and more. Download now to listen, read, learn and enjoy. (Zinio is now included/merged with RBdigital). Early World of Learning, World Book Online's early childhood digital resource, is a child's first encyclopedia, eBook, and introduction to core early concepts. With read-aloud across all functions, the 60 stories in "World of Reading" and "Trek's Travels" tie learning together through videos, games, and printable activities. Twelve stories are available in both Spanish and English, and the worksheets also offer written instructions in Spanish. Classic songs, nursery rhymes, and fairy tales complete the program, and are often included in the lesson plan for each story. Rocket Languages is an award-winning interactive online language learning system developed for libraries. The interactive, comprehensive website allows patrons to learn conversational language at their own pace. The DRM-free program allows patrons to fully utilize Rocket Language learning by downloading it for easy access on all MP3 compatible devices. Patrons continue to access their program online until they have completed the course. 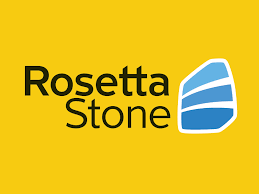 Rosetta Stone - The leader in language learning. You'll find - instruction for thirty languages - core lessons to build reading, writing, speaking and listening skills - focused activities to refine grammar, vocabulary, pronunciation, and more - mobile apps to reinforce language on the go. Explora provides reliable content from the world's leading magazines and reference books and works on computers and mobile devices. NoveListPlus is a tool designed to help readers discover what to read next. It can help you find a book you remember, books in series, and recommend books for all ages from kids to seniors. Find downloadable, fillable forms for basic legal transactions, current to Virginia code. Leases, sales contracts, powers of attorney, etc. Job seeking and career exploration. Create a professional resume for downloading or emailing, view webinars on interview skills, search for available jobs near you with a connection to Indeed. Take an interest and skills assessment to identify potential career fields. Pictorial search for encyclopedia and reference materials geared to elementary grades.